Last week a broad coalition of activists, environmentalists, and town officials, representatives of business, legislators, fishermen and concerned citizens from Albany to Westchester County gathered at Long Dock Park in Beacon to call upon General Electric to continue removing PCBs from the Hudson River and not to shutdown later this year. 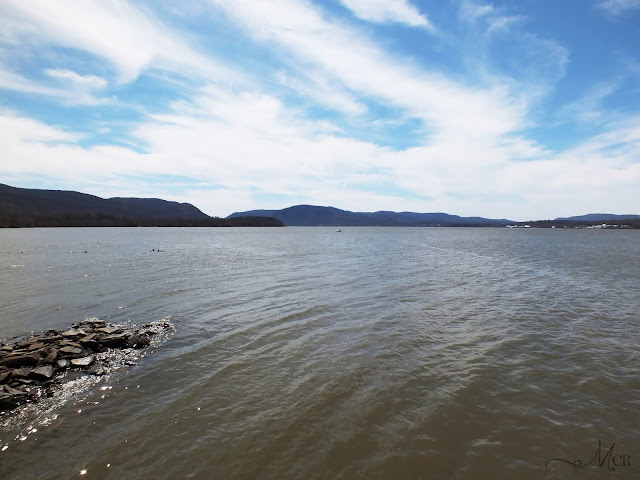 To date 58 communities along the Hudson River have called for a more comprehensive cleanup and have passed formal resolutions “to pressure GE to not shirk its responsibilities.” GE released PCBs into the Hudson from 1947-1977. Karen Mejia, Councilwoman of the City of Newburgh, said the health of the river should be a concern for everyone. “Much, much more needs to be done and we’re going to do it with the coalition that’s here today,” she said. Pete Bardunias, President/CEO of the Chamber of Southern Saratoga County, asked people to look at the bigger picture. Paul Gallay, President and Hudson Riverkeeper, said it may appear that GE is being asked to do something “out of the goodness of their hearts because they are good corporate citizens or because they think it’s in their enlightened self-interest. I am here to tell you this is something that General Electric must do; this is not something that they can walk away from.” He said the wording of the law does not permit doing the first part of a cleanup “and then pretend you’ve finished the rest of it.” Gallay said GE has not cleaned up the floodplains or addressed the damages that the company has done to the fishing industry and the economic “sphere” and to the communities “who would like to fish, swim and boat safely. GE owes New York and the Hudson a debt. It has not paid off that debt simply by completing the first major phase of the dredging…They owe New York the rest of this cleanup. We are dedicated to assuring that they pay down their debt 100%.” He pointed out that there are still hot spots in the river that are within 200 feet of where the company has been already dredging and it would be very cost effective for the company to remain to finish the job. In a prepared statement, General Electric spokesperson Mark Behan said the company is meeting their responsibilities, noting that it was the U.S. EPA that made the determination of the size and scope of the project. “GE is addressing 100% of the PCBs that EPA targeted in the dredging project that will be completed this year,” he wrote, stating that this project is one of the largest cleanups undertaken in the U.S.
Behan said GE will be dismantling their dewatering, transportation and processing facilities used for dredging and cleanup, but added that “GE will meet its obligations in every respect.” He stated that after this GE will continue with habitat reconstruction in the areas that have been dredged, continue monitoring the environmental conditions of the river and will evaluate the floodplains on the shoreline between Ft. Edward and Troy.